In Mumbai street lingo, Sulemani Keeda, means pain in the rear. This crisp 89 minute Indie genre movie showcases the ‘pain in the rear’ side of story of struggling Bollywood writers. Behind the showbiz, glitz and glamour, it’s an extremely difficult industry to set your foot into, while acting ‘happening dude’ all the time amidst tolerating long sermons from eccentrics of the industry. Director Amit V Masukar has kept entertaining cameos by Mahesh Bhatt, Late Razak Khan (just passed away) and Anil Sharma (Director of Gadar) – each of them explaining their weird interpretation of ‘life’. The desperation for success is so high that our protagonist writers, in one scene, are willing to narrate their script to the security guard in hope of getting an appointment with Yash Chopra! The film is filled with such gags, laughter and corny dialogues. The film also underlines how ‘long distance relationships’ are impractical and never work. In 1980s the theory wasn’t conclusive, but in this current age of instant messaging, social media presence and anytime video chat options, the theory has proved its strength. Great performances by Naveen Kasturia and Aditi Vasudev make this a compelling love story with a very unconventional ending. But the person who takes the cake (and eats it too) is Mayank Tewari. He stays etched well in the mind, long after the film, and so too does the excellent dialogues. Here’s listing the best dialogues from Sulemani Keeda. Watch this light hearted fun film for sure. 6. 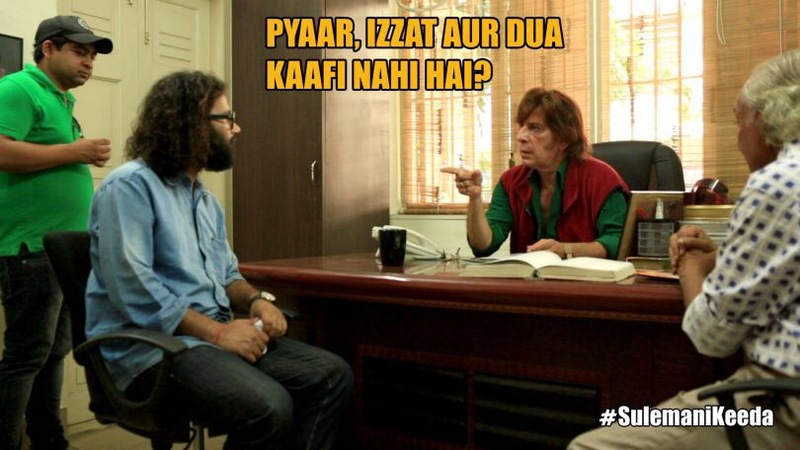 “Bheek maangna tera specialisation subject tha kya” – to a friend who constantly borrows money. Great review. I liked the dialogues most in the film along with Naveen’s acting. I’ve also just started blogging at movingpicturesweb.wordpress.com do give it a look!